This throwback Delta step show video from 1992 will make your day! The Deltas have always been amazing steppers but there is something special about the stepping that they did in the early 90s that sets itself apart from the rest. 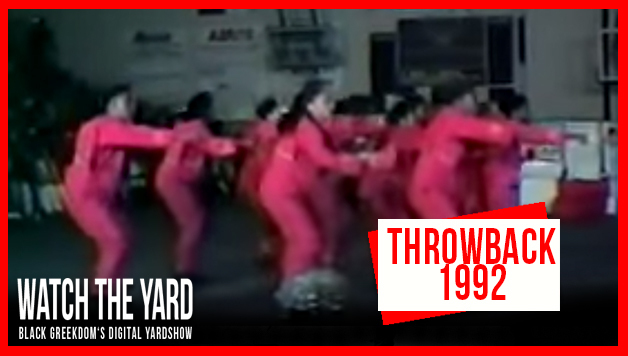 We at WatchTheYard.com were just submitted this video of the Alpha Eta Chapter of Delta Sigma Theta Sorority, Inc., stepping at their Fall 1992 step show at Virginia State University, in Petersburg, VA. These 90s Deltas were meticulous when it came to planning the outfits, steps, props and the themes in this step show. In the beginning of the video, you will see that the ladies are rolled onto the stage in a giant space ship, they jump out in full uniform and start destroying the competition. Share this video with a 90s Delta and make her day! Special thanks to Lynette Mayo for submitting this video to Watch The Yard!